Surfdome and Mountain Mavericks Competition Winner Announced! To celebrate our new partnership with the amazing online retailer Surfdome.com we ran an amazing competition through their website and our own social media! 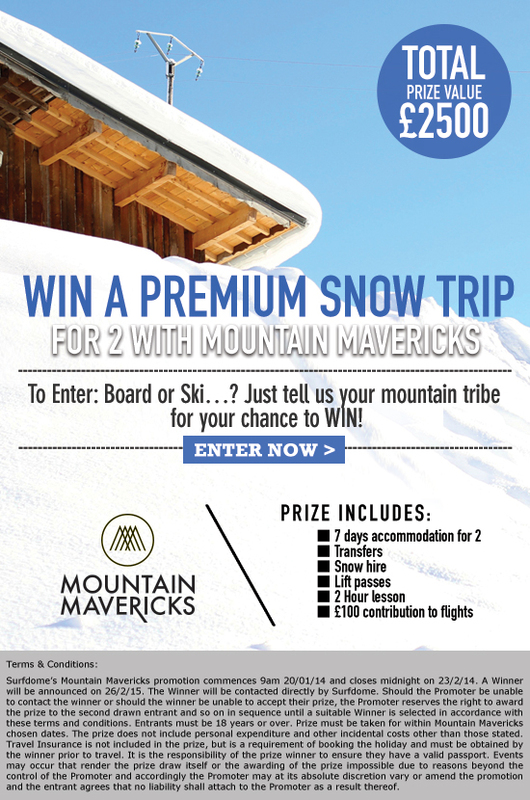 The prize was worth a whopping £2,500 and included a stay for 2 in one of our stunning chalets, transfers, ski/snowboard hire, lift pass, a 2 hour private lesson and even a contribution to flights! Lucky Juliana, a Portuguese student studying Biotechnology at the University of Hull, won the competition and is really excited to come and visit us. We asked Juliana for a few words! Make sure you keep an eye out for more opportunities to win with us and many of the partners we work with!